Alexandra Littaye started her journey as an academic. During her research, she would avoid libraries to slip into the boxing ring, winning amateur belts in Mexico, Belgium and the UK. She’s managed to combine both her drive to win and her research into a start-up, Azure. Her dedication is twofold: support the network of farmers she lived with in Mexico and provide an exceptionally tasty and unusual product. In a previous life, Alexandra was as a philosophy lecturer in the desert of Abu Dhabi. Before that, she studied philosophy and literature at Warwick University and environmental policy at Oxford University. Alexandra’s greatest regret is her need and love for sleep. She’d rather read books all night long. She’s permanently struggling to try out new ideas and has an unhealthy tendency to soak up as many thoughts from others as possible. So please do not hesitate to get in touch and share your own! James Ellis is British, so naturally, he makes a mean cup of tea. Luckily, he’s also pretty good at creating great things to eat too – a more-than-useful quality for someone heading up research and development at a food company. James – a registered nutrition scientist and personal trainer – takes a multi-faceted approach to our recipes. Taste, naturally, comes at the top of the menu but he also uses his scientific knowledge and indulges his nerdy side to make sure our products are as healthy as possible. He’s also an accomplished ultramarathon runner having completed one of the world’s most iconic races, the Spartathlon, four times (hence the goofy picture), so he knows what an endurance athlete is looking for when it comes to sports nutrition. It’s a philosophy that informed our Functional Range of Ultra Bites which are designed to support endurance athletes depending on their needs at that time, whether in training, a race or even at rest. As a former Fleet Street journalist, James is also a communications expert and so helps look after our PR and marketing efforts too. 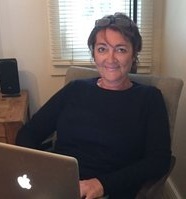 Helen began her career as a psychiatric nurse in New Zealand. She soon changed tack completely and retrained as a chartered accountant, working for over 25 years in the Philippines, Vanuatu, New Zealand and Belgium with the 'Big 6' public accounting firms. After developing a website for her daughter's property development business in Turkey, she recently decided to embark on yet another career change, to become a website designer! She was intrigued with Azure's concept and keen to partner with a business dedicated to supporting indigenous farmers in Mexico and to cultivating strong ethical standards.  Azure felt like a great place to start! Helen looks forward to a continuing partnership with Azure and is confident that its tasty pinole products will prove popular.